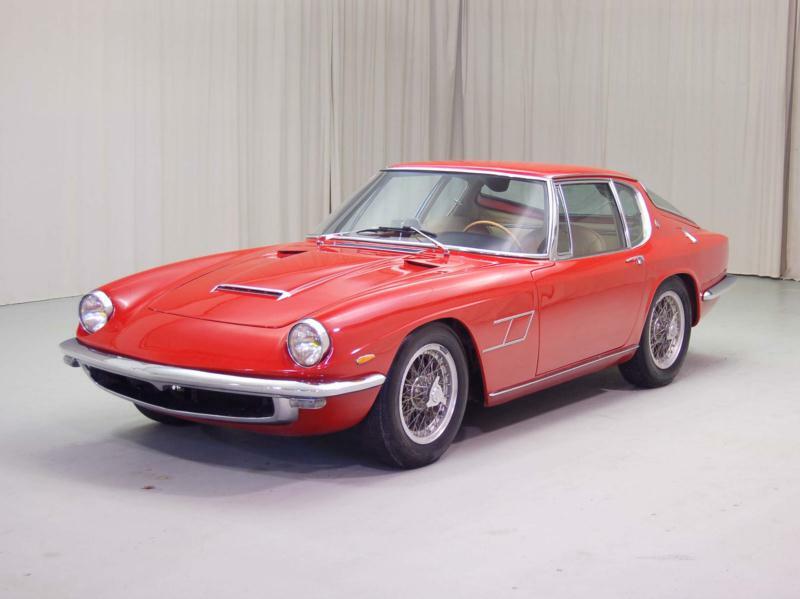 Maserati’s replacement for the 3500GT was first shown in Torino in 1963 and went into production a year later as the Mistral, thus beginning Maserati’s tradition of naming their cars after winds. This beautifully proportioned Frua-designed two-seat coupe was available with either steel or aluminum body panels mounted on a box section tube frame and would be the last Maserati to use the fabled DOHC twin-plug straight-six engine that had its origins in GP racing. 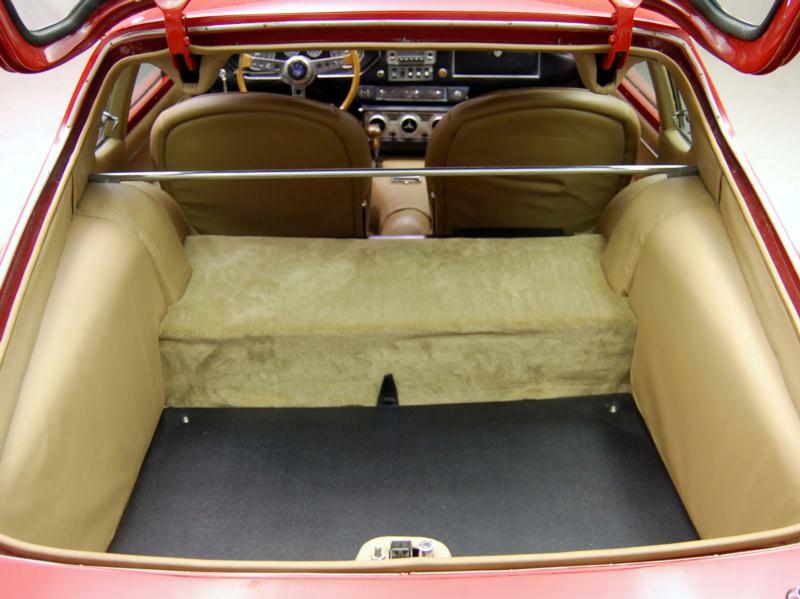 Initially the car was shown with a 3.5-liter version of DOHC motor, however this quickly gave way to a 3.7-liter unit with 245 hp and a 4.0-liter version with 255 hp in 1966, all of which used Lucas fuel injection and bolted to a five-speed ZF transmission. 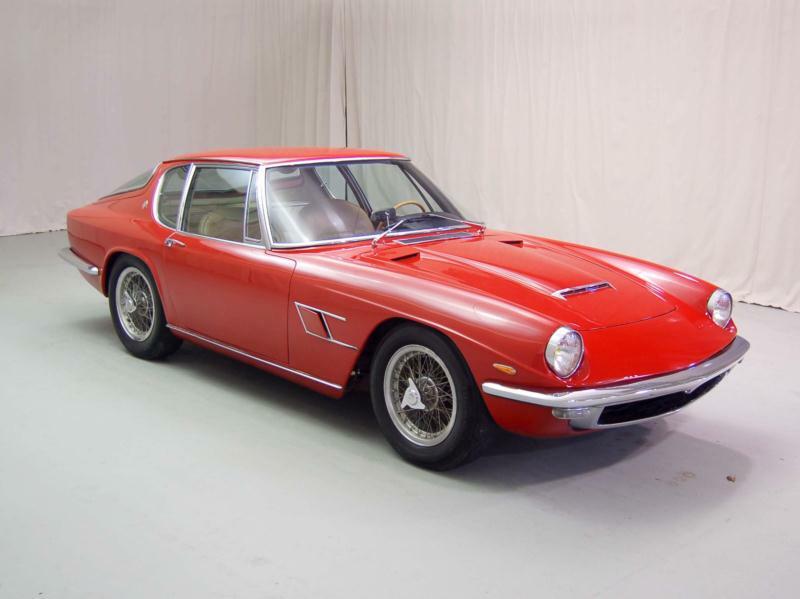 The 4.0-liter cars were good for sub-7-second 0-60 times and top speeds in excess of 140 mph, with four-wheel disc brakes, independent front suspension, and Maserati’s typical Salisbury rear axle insuring that the car was up to the task. 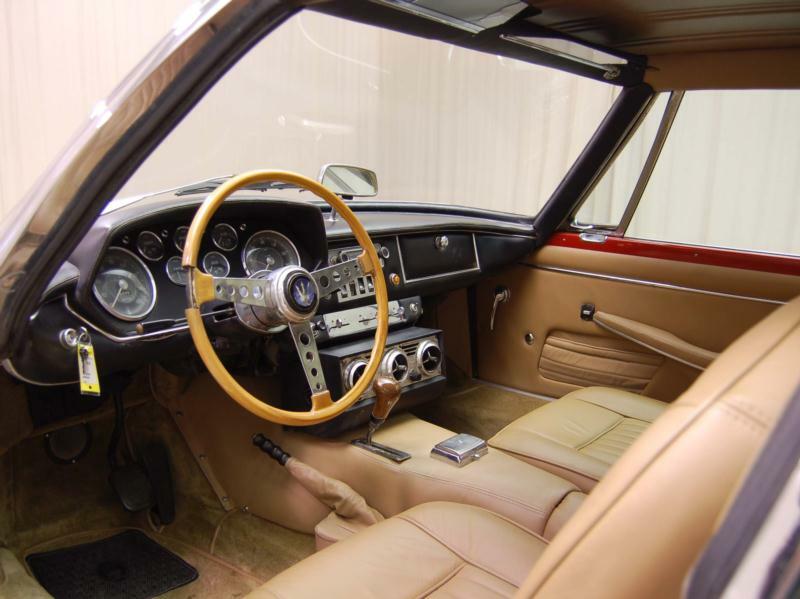 Subtle bodywork changes came in 1966 at roughly the same time as the introduction of the 4.0-liter motor, and later cars had alloy wheels in place of the original’s Borrani wires. 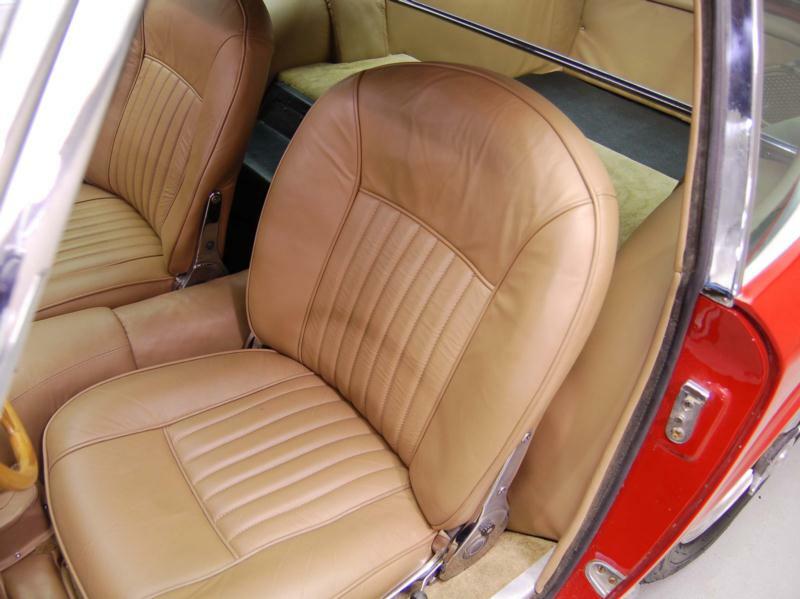 From 1964 to 1970, Maserati built 830 Mistral coupes and 125 Mistral Spyders, with the Spyder typically equipped with a removable hard top in addition to its soft convertible top. 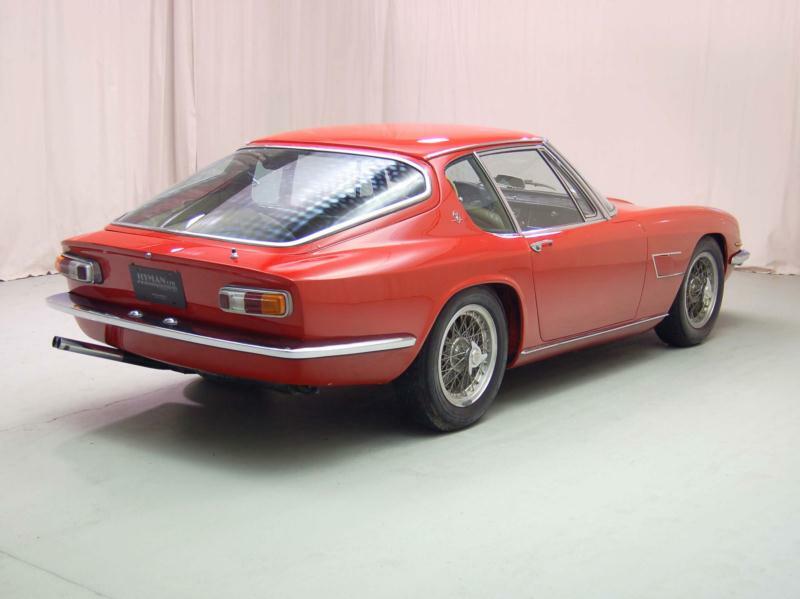 Today, the Maserati Mistral is often regarded as Frua’s prettiest design, and model is recognized as a top performer of the era. Spyders are much more expensive than the coupe counterpart, so closed cars represent a more price-effective point of entry to ownership. Look out for rust around wheel wells, in the frame, and at the base of the windshield as well as intermittent Lucas injection problems on 3.5- and 3.7-liter cars, as this issue was largely nonexistent in the 4.0-liter examples.